Boston, MA, Feb. 12, 2019 (GLOBE NEWSWIRE) -- Bunker Hill Community College (BHCC) appointed Kristen P. McKenna as Dean of Workforce and Economic Development. In this role, McKenna will oversee corporate learning and development and community education programs at the College. The renamed Division of Workforce and Economic Development supports area businesses and community based agencies with career pathway building, customized training and individualized support to grow workforce and economic development for the greater Boston metro area. McKenna possesses over 20 years of professional implementation, management and policy development experience in higher education, workforce development, nonprofit and government funded programs. She has held senior leadership positions focused on program improvement, enrollment and the development of industry supported training for workforce development at River Valley Community College in Lebanon, New Hampshire, and Bristol Community College in Fall River, Massachusetts. Working with the Rhode Island Governor’s Workforce Board and the Institute for Labor Studies and Research, McKenna has also implemented a number of projects designed to accelerate credential attainment with technology-based solutions. She’ll bring expertise to the College’s workforce development initiatives and the development of non-credit to credit career pathways. The Greater Boston community has come to rely on BHCC’s community education programs for English language instruction, test preparation, continuing education and international learning programs. In the 2018 academic year, over 2500 students enrolled in customized training, community education and adult basic education at the College. With a focused commitment on workforce and economic development, BHCC will expand access and equity with additional course development and innovative pathways development so all community members have options and flexibility in a supported environment. The division is working with partners like Facebook to offer future opportunities that will support local entrepreneurs with workshops on social media marketing and more. 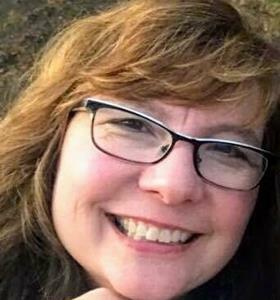 McKenna holds a Masters of Education in Adult Learning and Higher Education Administration from Eastern Nazarene College, a Masters of Education in Educational Leadership from Bridgewater State University and a Bachelor of Fine Arts from Rhode Island College. To learn more about BHCC’s Workforce and Economic Development program and to view the courses that are offered visit bhcc.edu/ce.